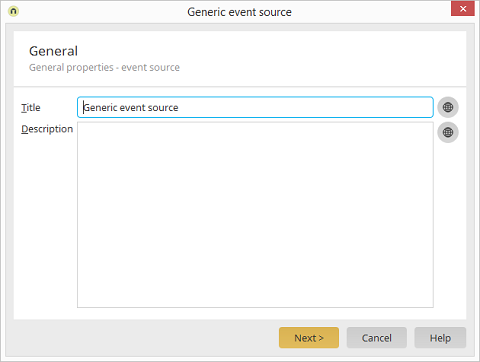 Enter a title for the event handler here. Enter a description for the event handler here. In each case, opens a dialog where the text can be entered in multiple languages. Click here for more information.